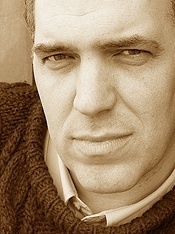 Edgar/Anthony-nominee Craig McDonald is an award-winning novelist, editor and journalist. His internationally acclaimed Hector Lassiter series includes "One True Sentence," "Forever's Just Pretend," "Toros & Torsos," "The Great Pretender," "Roll the Credits," "The Running Kind," "Print the Legend," "Three Chords & the Truth," "Write From Wrong," and "Head Games," which was a finalist for the Edgar, Anthony, Gumshoe and Crimespree Magazine awards for best first novel. It is being adapted as a graphic novel by First Second for release in 2015. A standalone thriller about illegal immigration, "El Gavilan," was published in autumn 2011 to starred reviews and was also selected for several year's best lists. A new series of direct-to-eBook Edgar/Anthony-nominee Craig McDonald is an award-winning novelist, editor and journalist. His internationally acclaimed Hector Lassiter series includes "One True Sentence," "Forever's Just Pretend," "Toros & Torsos," "The Great Pretender," "Roll the Credits," "The Running Kind," "Print the Legend," "Three Chords & the Truth," "Write From Wrong," and "Head Games," which was a finalist for the Edgar, Anthony, Gumshoe and Crimespree Magazine awards for best first novel. It is being adapted as a graphic novel by First Second for release in 2015. As announced earlier, the entire Hector Lassiter series is returning this summer/fall with a mix of old and new novels, repackaged and reimagined with new covers and additional content. We’d love your help. Let us know what’s wrong with this preview of The Starved Lover Sings by Colin O'Sullivan. Craig McDonald voted for A Child of Books as Best Picture Books in the Final Round of the 2016 Goodreads Choice Awards. Hi Craig. Thanks for being a friend. Your book sounds great. Thanks for your Goodreads friendship, Craig.